Air ducts are the hallways for your air. They direct the air flow from room to room, as well as in and out of your home. Your ducting system tends to attract dust and pollutants which makes the air unhealthy, often times leading to an increase in allergy attacks. To help your air quality to be at its very best, you should have the ducts cleaned thoroughly and regularly. You may be considering doing the duct cleaning yourself but that may not be the best choice. DIY vs Professional – Spending and Saving – Properly and thoroughly cleaned Ducts can reduce your energy bill by 40%, creating savings over a prolonged period of time. 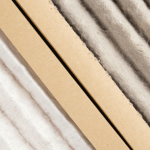 By cleaning the duct work yourself, you may not be getting all of the contaminates out and actually damaging the ducts, creating air flow loss and a higher energy bill. The best way for you to save the most over time is by having thoroughly clean ducts. 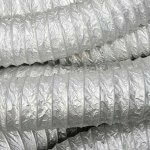 Duct Damage– The constant air flow in the ducts causes normal wear and tear. If you have not been properly trained to perform duct cleaning, you can easily over look the tell tale signs of damage, normally showing as small cracks and holes. These small cracks and holes reduce the efficiency of the air flow in your home. Having your ducts professionally cleaned will uncover the signs of wear and tear while helping them to work much more efficiency. Airborne Diseases – Poor duct cleaning will not eliminate mold from growing in the duct system. When mold is present in the duct system, it gets blown from one part of the duct to the next and, eventually, out of your vents and into your home. A professional cleaning removes the mold from the duct system, ensuring that it will not get into your home. Peace of Mind – When a professional comes out to perform the duct cleaning you can rest a sure that your ducts are not getting damaged and that all of your duct work will be properly taken care of, with any mold being removed. Experience – You should choose a company that has been in the business for several years and has been a credited with the Better Business Bureau and is Diamond Certified. 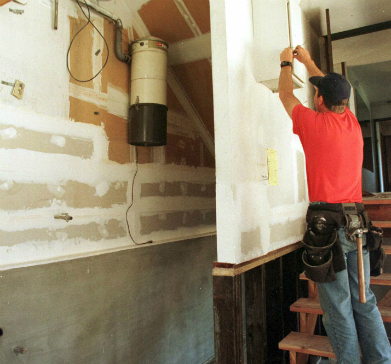 Better Business Bureau (BBB) – BBB will tell you if the duct cleaning company has a good standing among customers. 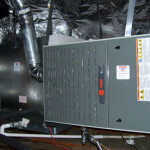 Insurance – Air ducts are expensive pieces of equipment. Any damage to them can cause immediate and long term issues. The duct cleaning company should have proper insurance to cover any kind of damage that could occur during the cleaning. National Air Duct Cleaners Association (NADCA) – NADCA over sees all air duct cleaning companies. They have set certain rules that the members must follow. 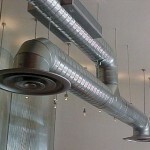 You should check to see if the duct cleaning company you are considering is part of the NADCA. You can ask the duct cleaning company for proof of call up NADCA and ask if the company is a member. Chemicals Used – You should ask which chemicals the company uses in the cleaning process, if any, and what the affects they could have on your health. Also ensure that they will be using and disposing of the chemicals properly. Services – Your air quality goes down due to a number of reasons – pollutants, chemicals, dander, and pesticides. The cleaning company should address all of these while cleaning. You shouldn’t choose a company that only addresses some of these issues. Rates – Compare the prices of several companies with similar services, along with their track record. Duration – Companies with better equipment and training will typically perform the service faster. Also ask for an estimate on the length of the appointment when choosing a company. Try to keep with a company that has a shorter time but also a great track record with their clients. Having a professional company that is rated well with the BBB to come out to clean your duct system is important to ensure that you are getting a great quality cleaning, ensuring the longest lasting results. Do You Need Professional Air Duct Cleaning?